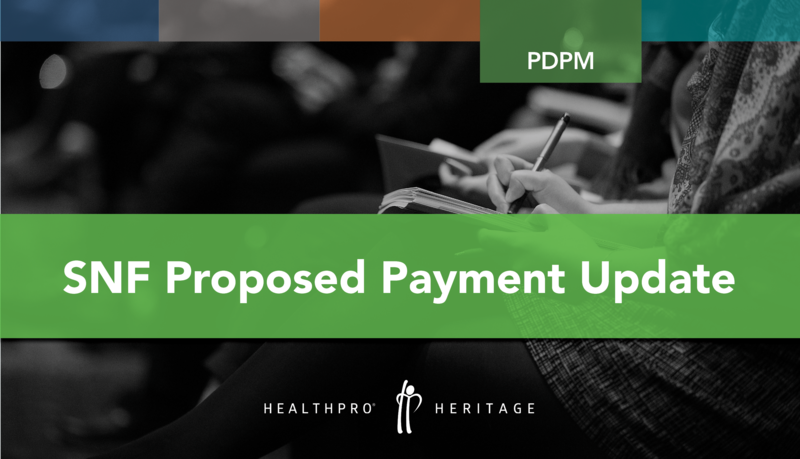 Today, CMS published the FY 2020 Skilled Nursing Facility Proposed Payment System (SNF PPS) in the federal register. 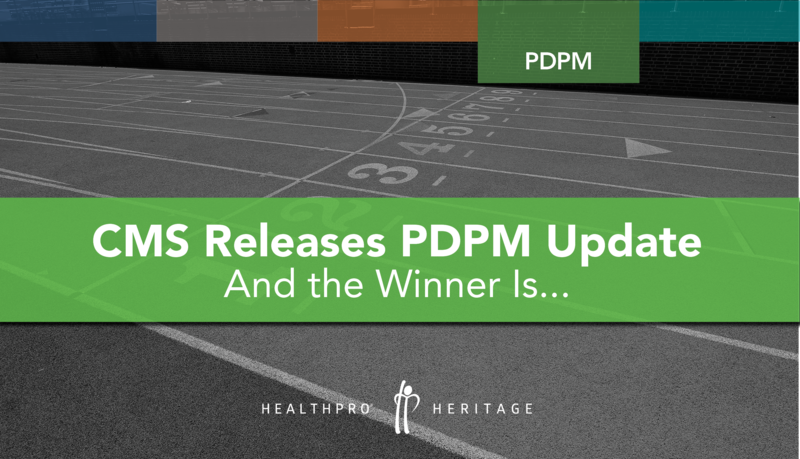 It contains the SNF PPS payment update is 2.5% for FY 2020, which is an increase in payments of $887 million, compared to FY 2019. This estimated increase is attributable to a 3.0 percent market basket increase factor with a 0.5 percentage point reduction for multi-factor productivity adjustment. Sign up for our latest PDGM webinar on May 15, 2019 at 1pm EST, "PDGM – Risks, Opportunities, Solutions!" 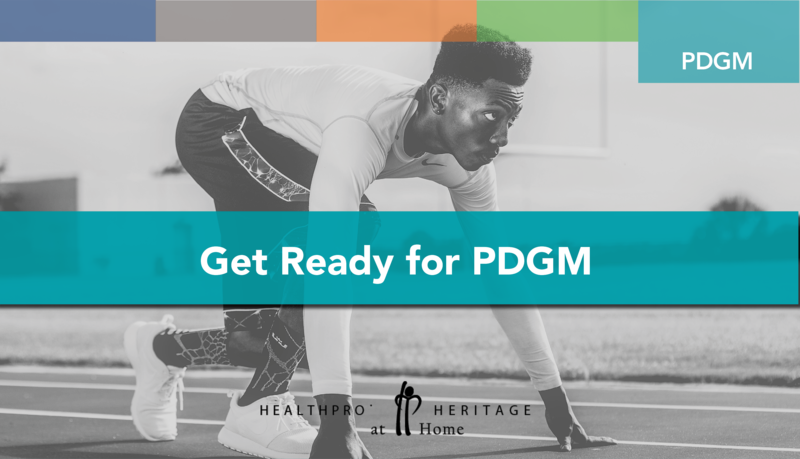 The implementation of the new case-mix classification model, the Patient Driven Grouping Model (PDGM) on January 1, 2020 will bring BIG changes to the Home Health profession! HealthPRO® Heritage at Home (HHH) is getting ready today. 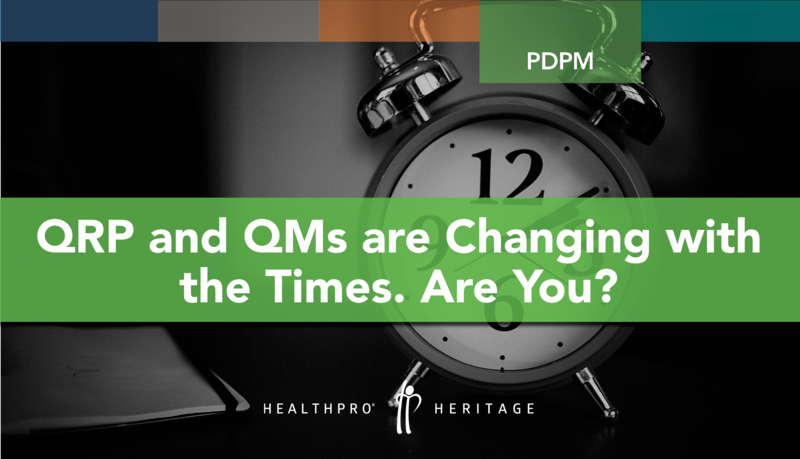 Contact us at homehealth@healthpro-heritage.com to learn more about how we can help you prepare for the most dramatic Medicare reimbursement change since PPS. 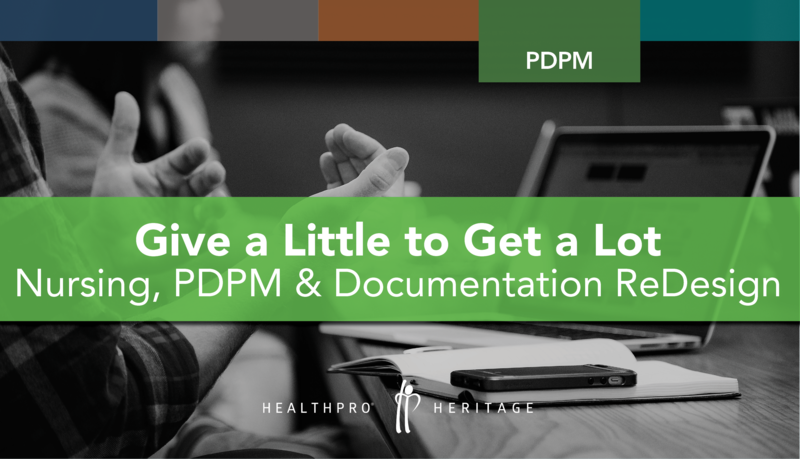 PDGM implementation is a mere 38 weeks away, bringing significant changes in episode length (60 to 30 days), resultant billing processes, revenue cycle, and ultimately, cash flow. While certification periods will continue to be 60 days in duration, reimbursement will be broken into 30-day payment periods. As such, billing will have to be processed for each 30-day payment period including Requests for Anticipated Payment (RAPs) and final claims. This will likely result in a substantial increase in claims volume in addition to an interruption in cash flow. Specifically, agencies will experience a cash flow “crunch” during the first few months of implementation as the conversion from 60-day to 30-day payments is realized with a leveling off after the initial impact and conversion. 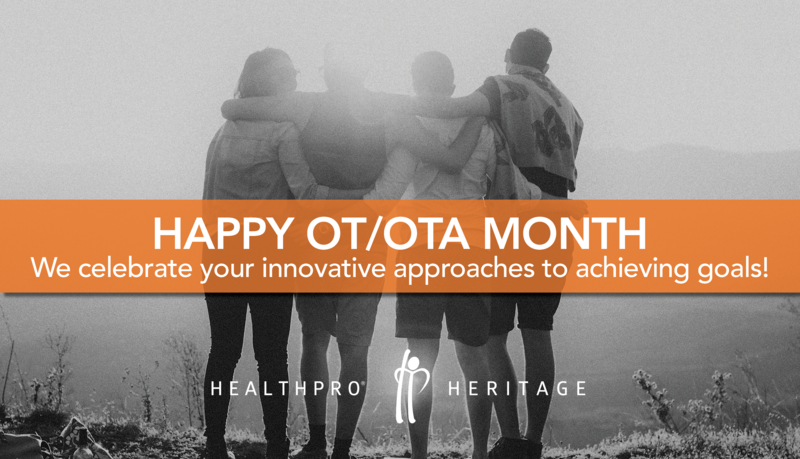 April is OT Month... Here are some interesting facts. 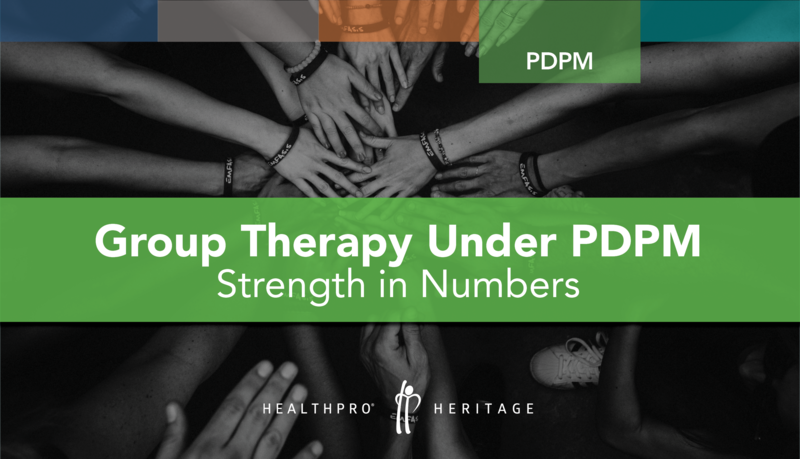 The U.S. Bureau of Labor Statistics calls occupational therapy one of today's fastest growing careers, pointing to growing numbers of older adults and young children who need occupational therapy services. Chicago, IL March 22, 2019 – HealthPRO® Heritage, one of the largest independently owned therapy and consulting service providers in the country, is proud to announce that its Quality Assurance Compliance Coordinator Berenice Galvez Soto was named to the inaugural class of Rising Stars in the McKnight’s Women of Distinction program. 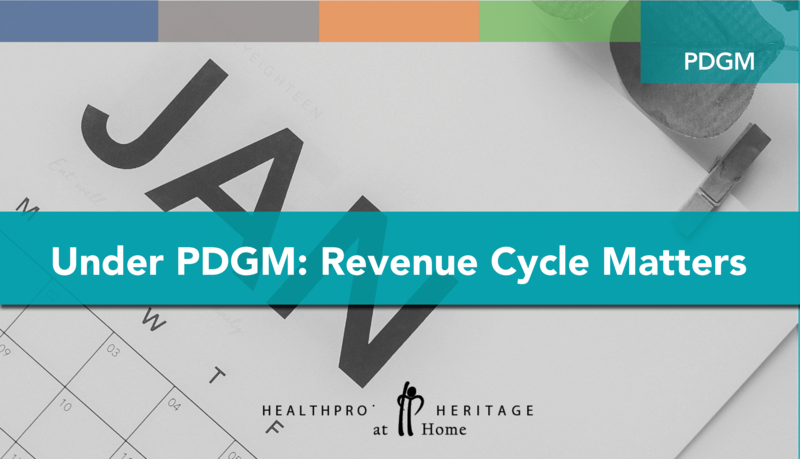 PDGM implementation is a mere 42 weeks away and is anticipated to be the biggest change in home health payment reform in over 20 years. HHAs will need to completely revise care management and billing processes, as well as documentation and coding practices, in order to make the transition successfully. One of the most dramatic areas of change relates to ICD-10 coding, which is a significant determinant of revenue in the new paradigm. 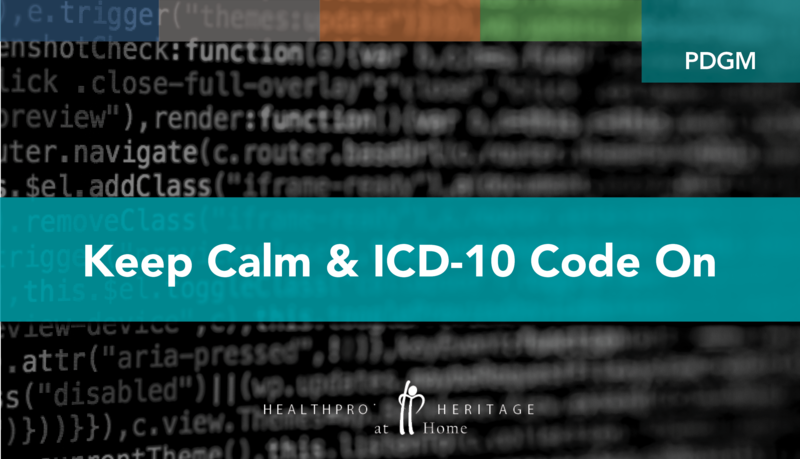 Both timing and accuracy of ICD-10 Coding (primary diagnosis and comorbidities) will play a role in how patients are grouped and, ultimately, reimbursed. Given that this is a completely new core competency for HHAs, it is prudent to take action today to assess related risk and begin to identify the changes that will need to occur in order to minimize transition risk.